Provide comfort for the family of Howardine Schroll with a meaningful gesture of sympathy. Howardine Schroll, dear wife, mother and grandmother, passed away February 2, 2019 in Cheyenne at the age of 94. She was born August 7, 1924, in Denver, Colorado, to Leon and Howardine Hebert. She married her high school sweetheart, Bill Schroll, longtime Cheyenne businessman, in January 1946, upon his return from the Pacific front. They settled in Cheyenne where she continued to live for the rest of her life. Howardine's Catholic faith was very important to her and she was devoted to her church. She was one of the founders of Schroll Cabinets, Inc. and served as the company's long-time Corporate Secretary. She was genuinely proud of the family business. Family was the center of Howardine’s world. With Bill, she raised four children, Barbara, Linda, Michael and John. She took great in pride in her role as a mother, wife and homemaker. Her beloved husband, Bill, passed away, April 17, 1989. Howardine is survived by her daughters, Barb Barworth and Linda Heesch; son, John Schroll (Kathryn); daughter-in-law, Jan Nelson-Schroll; brother, Howard Hebert (Cathy); seven grandchildren, whom she deeply adored, Kathleen Seiler, Patrick Carey, Chad Barworth (Kara), David Barworth (Desarae), Elizabeth Pollnow (Derek), Laura Raines (Kipp), Tyler Schroll; and ten great grandchildren. She was also preceded in death by her parents; son, Mike; brother, Leon Hebert; sister; Judy Schepp; and sister-in-law, Betty Schroll. Howardine was always positive. She met adversity with resilience which led to a long, fulfilling life. Those who cared for her loved her warm spirit and kind heart. She will be deeply missed by her family and friends. A Vigil for the Deceased will be held on Thursday, February 7, 2019 at 7:00 p.m. at the Lakeview Chapel at Schrader, Aragon and Jacoby Funeral Home. A Funeral Liturgy will be celebrated on Friday, February 8th at 10:30 a.m. at St. Mary’s Cathedral with Father Carl Beavers as celebrant. Interment will follow in Olivet Cemetery. 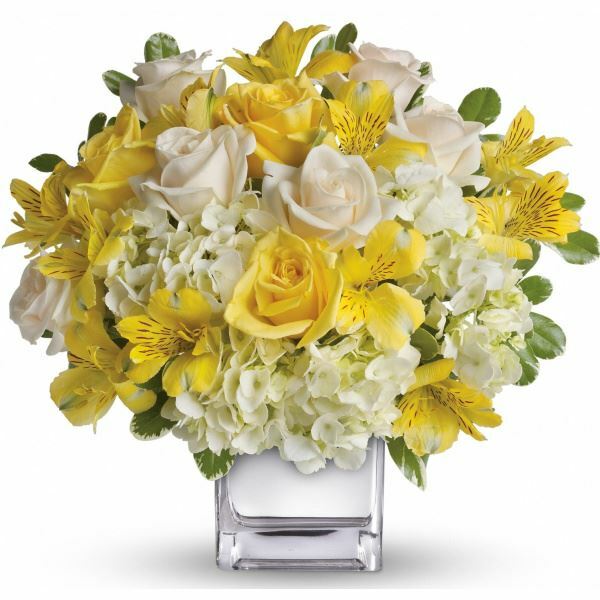 To send flowers in memory of Howardine M. Schroll, please visit our Heartfelt Sympathies Store. A Vigil for the Deceased will be held on Thursday, February 7, 2019 at 7:00 p.m. at the Lakeview Chapel at Schrader, Aragon and Jacoby Funeral Home. We encourage you to share your most beloved memories of Howardine here, so that the family and other loved ones can always see it. You can upload cherished photographs, or share your favorite stories, and can even comment on those shared by others. Dennis Blue and Family, Al & Ann Simpson, Nan Thorne Fogel, and others have sent flowers to the family of Howardine M. Schroll. Sorry for your loss. I always had a great respect for your mother. Dennis Blue and Family purchased flowers for the family of Howardine Schroll. I cared for Howardine when she lived at Pointe Frontier. She was a wonderful lady. I will never forget her stories about her childhood in Cheyenne and all of her adventures. She was truly an inspiration to me! My condolences go out to her family during this time. Al & Ann Simpson, Nan Thorne Fogel purchased flowers for the family of Howardine Schroll. Our deepest sympathies on the passing of your mother. Tony and Martha Gonzales purchased flowers for the family of Howardine Schroll.